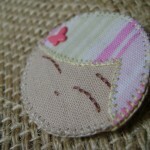 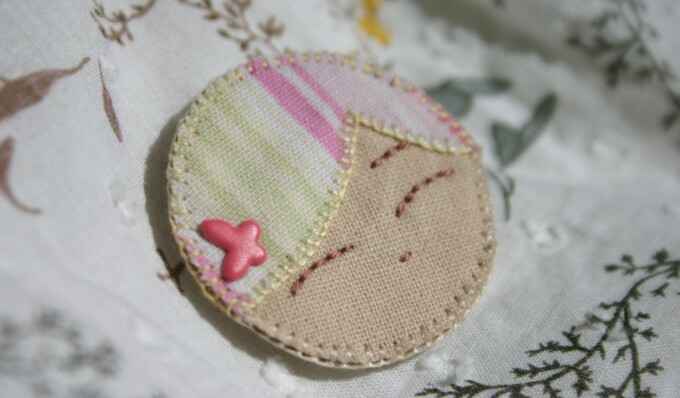 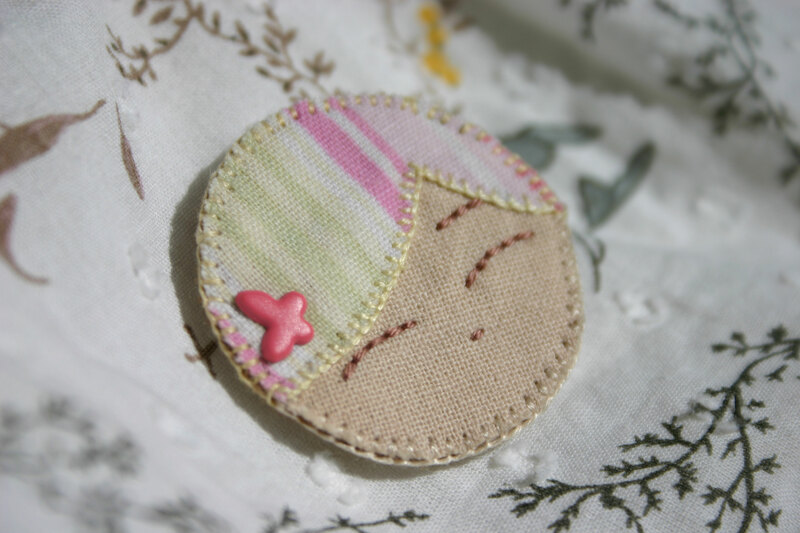 round brooch hand stitched from cotton fabric and embroidered with cotton yard. 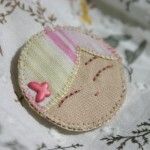 has metal safety pin sewn on the felt back. 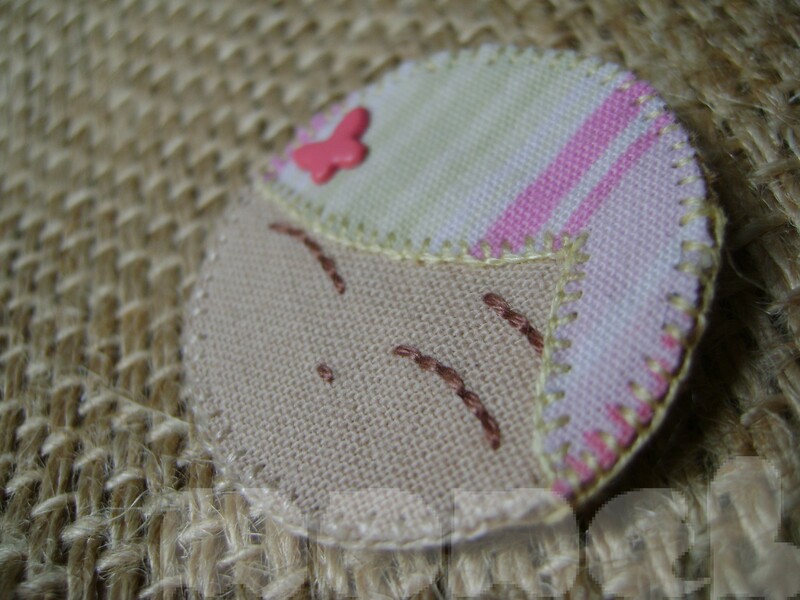 size: 3,5 cm across.